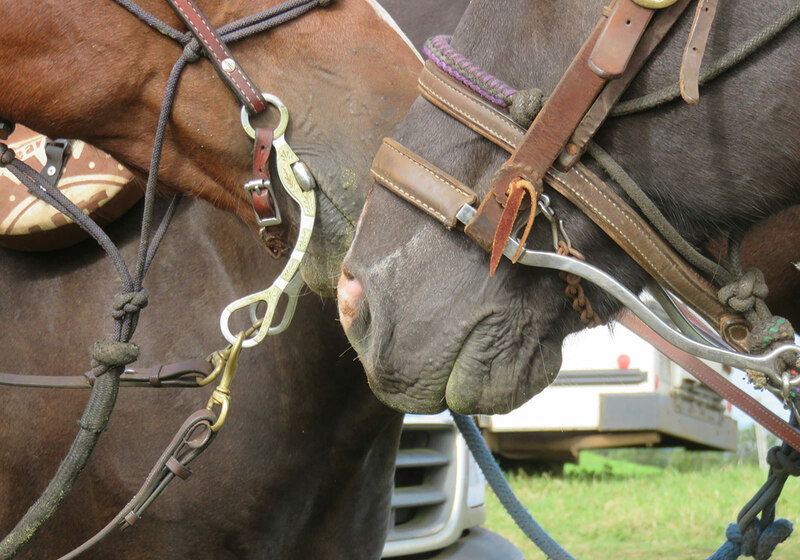 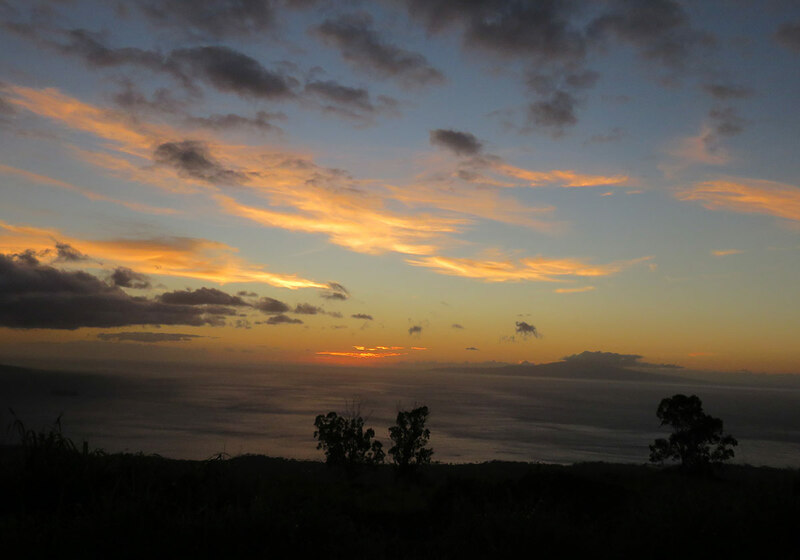 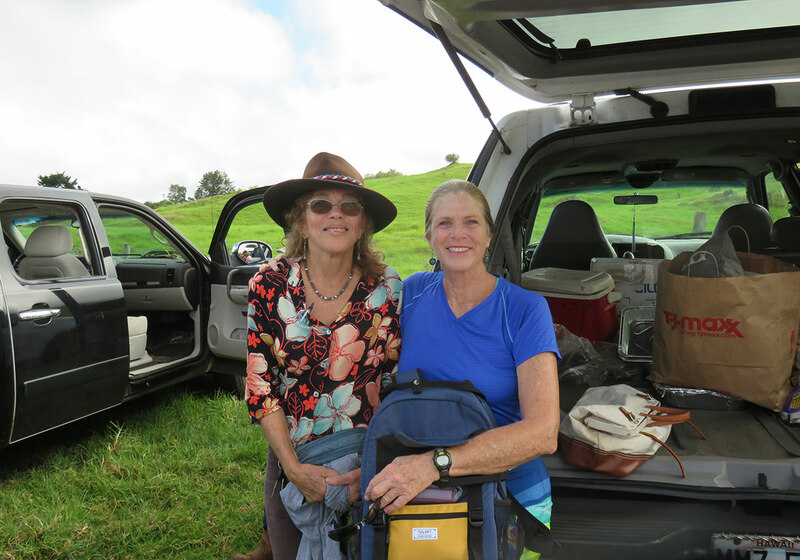 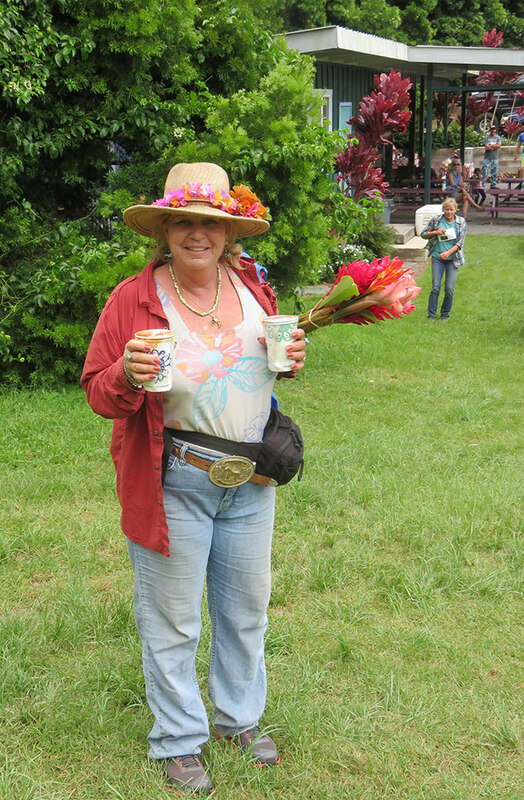 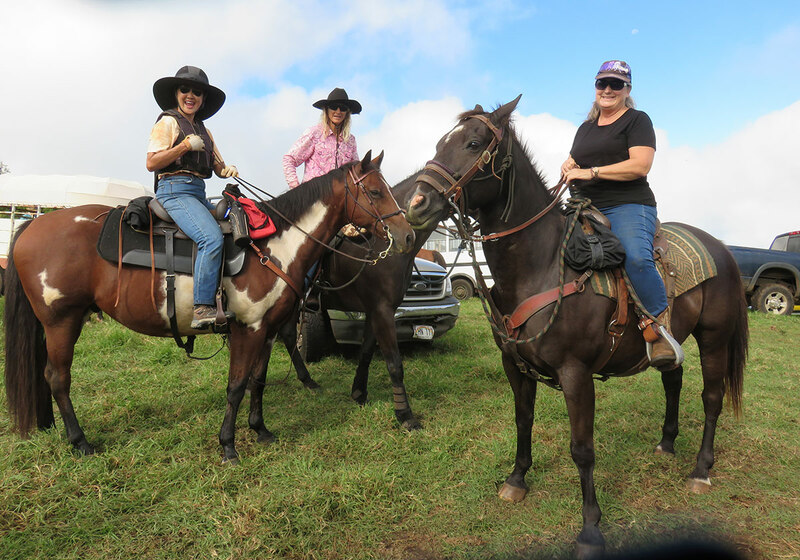 Ulupalakua- Maui’s 27th annual “Saddle Up” St Jude Trail Ride on Saturday, September 29 was an enjoyable success…a beautiful day and over $22,000 in donations for the St Jude Children’s Research Hospital in Tennessee. 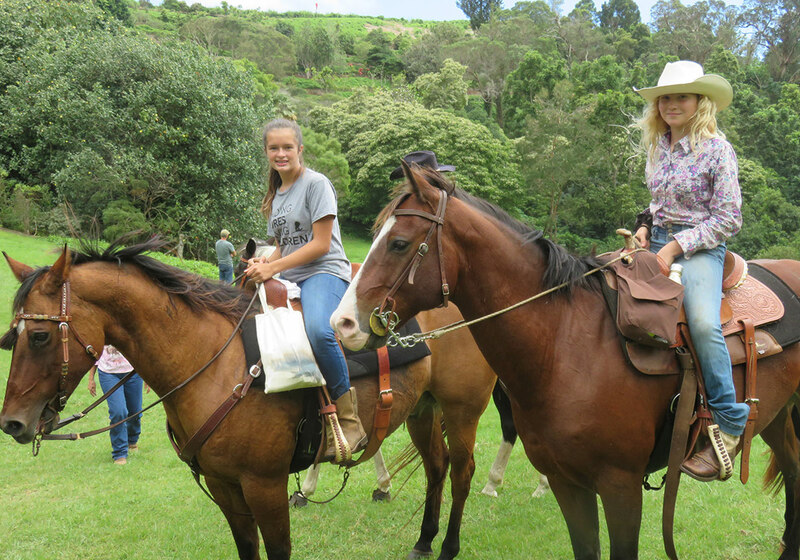 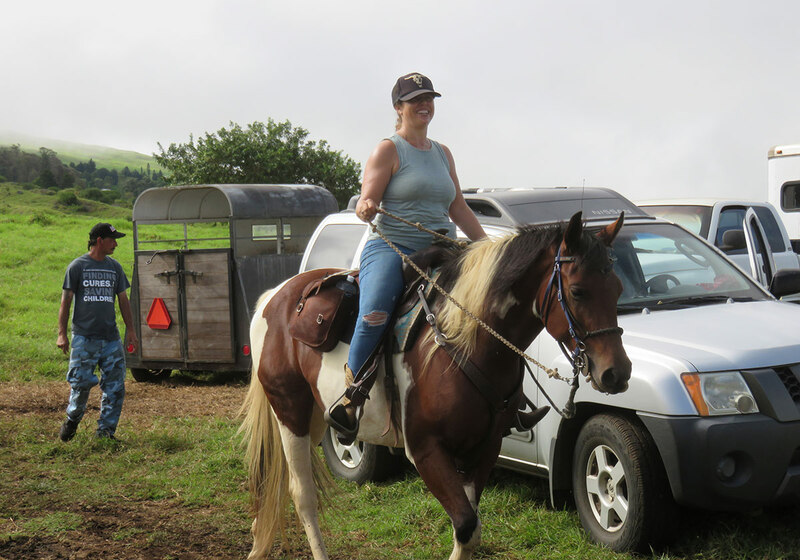 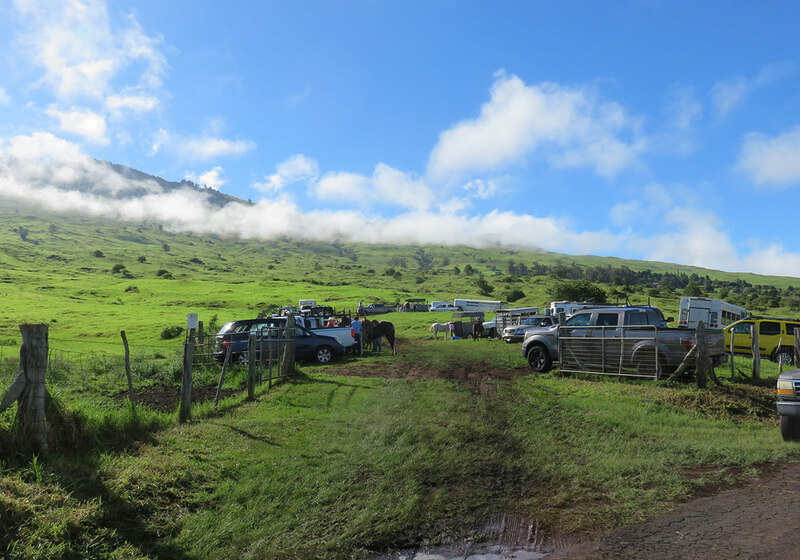 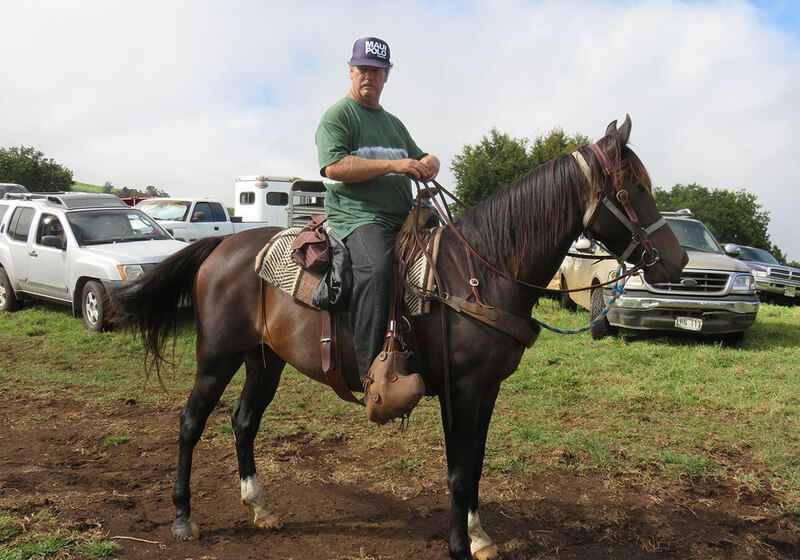 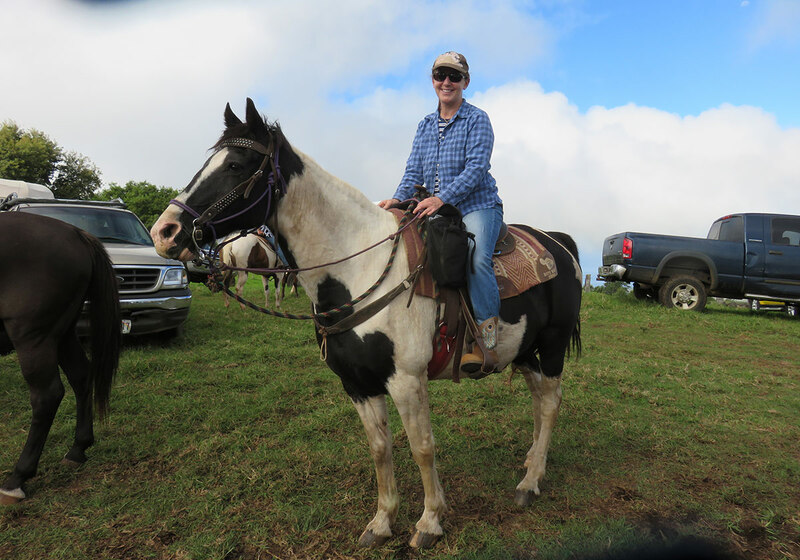 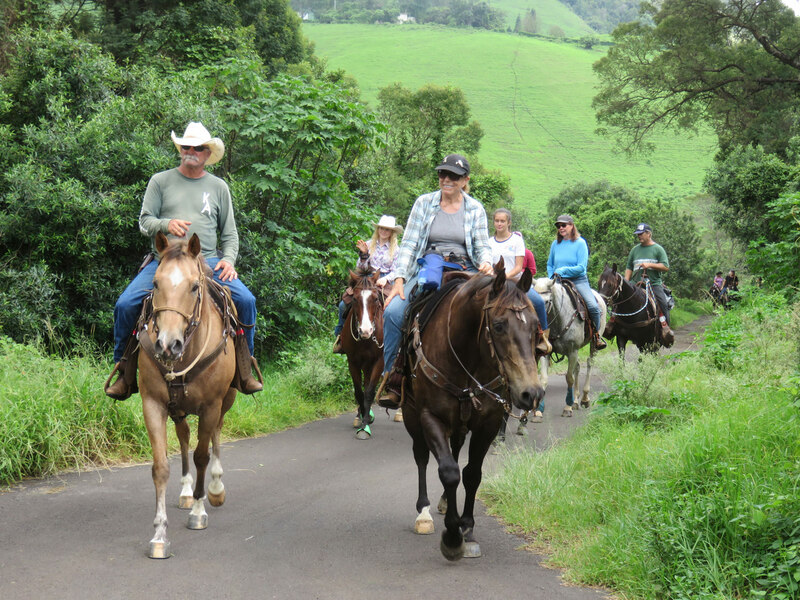 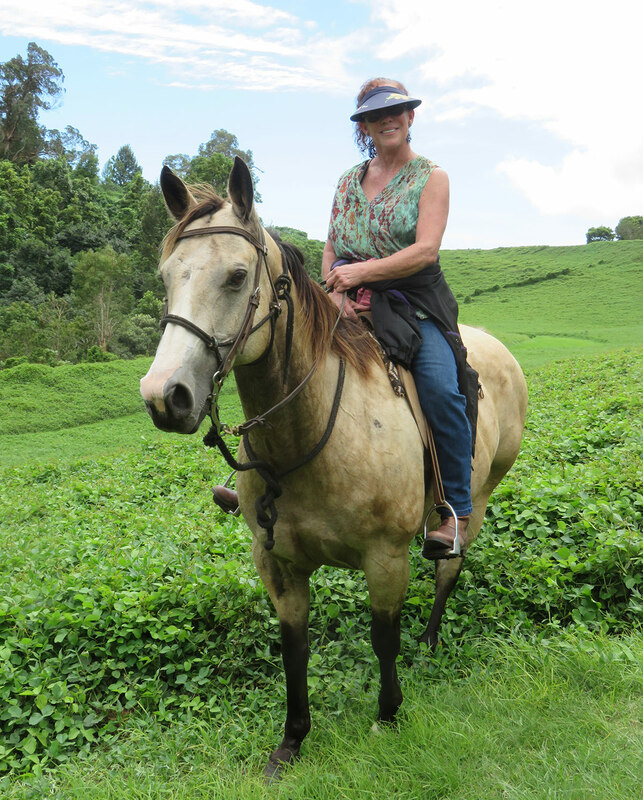 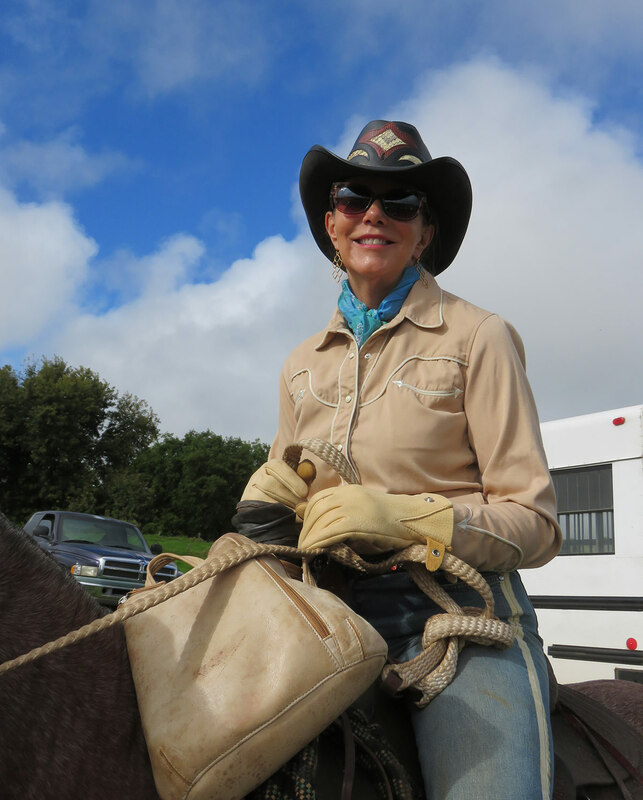 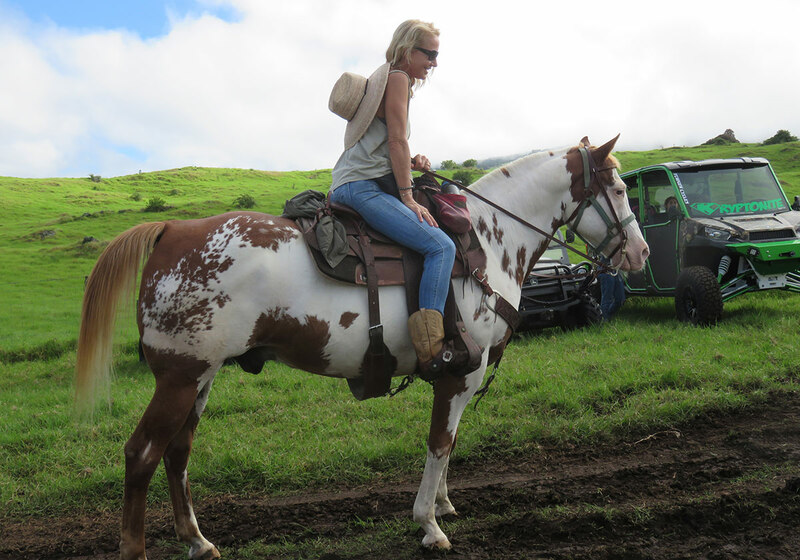 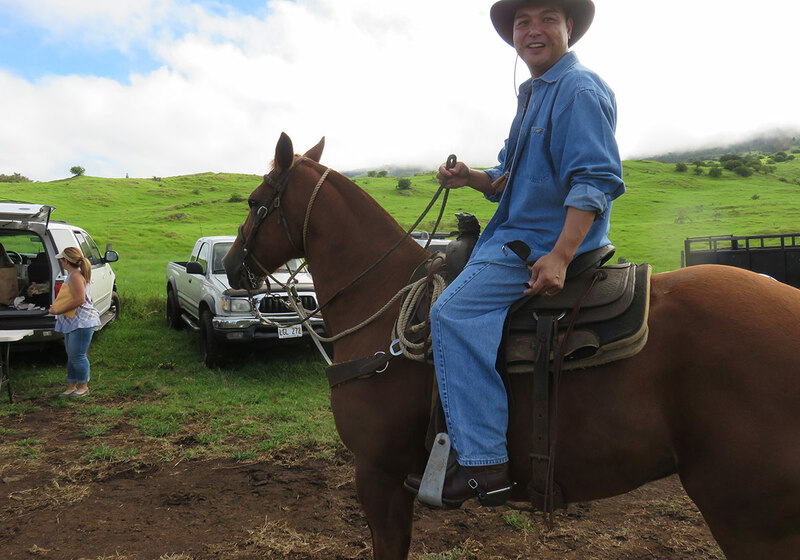 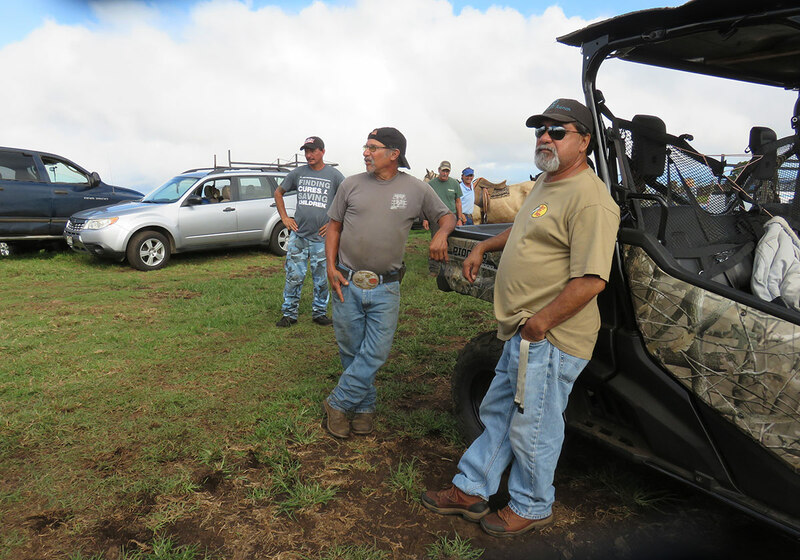 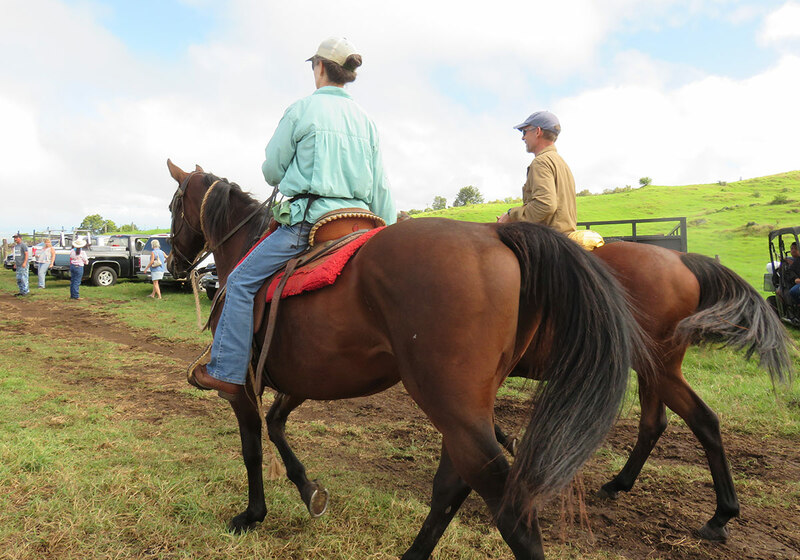 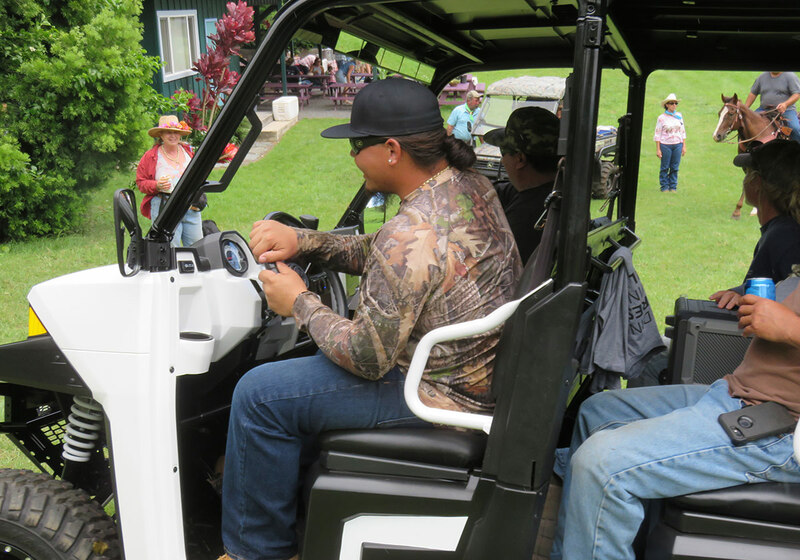 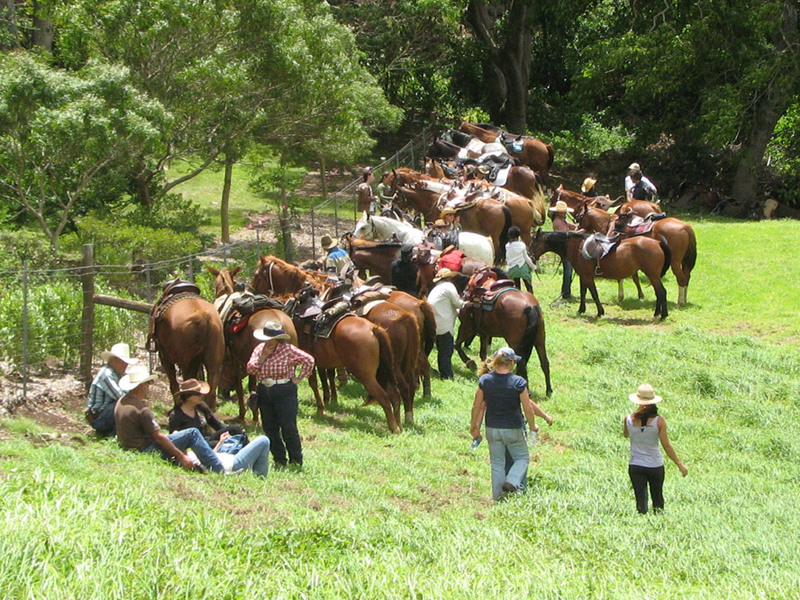 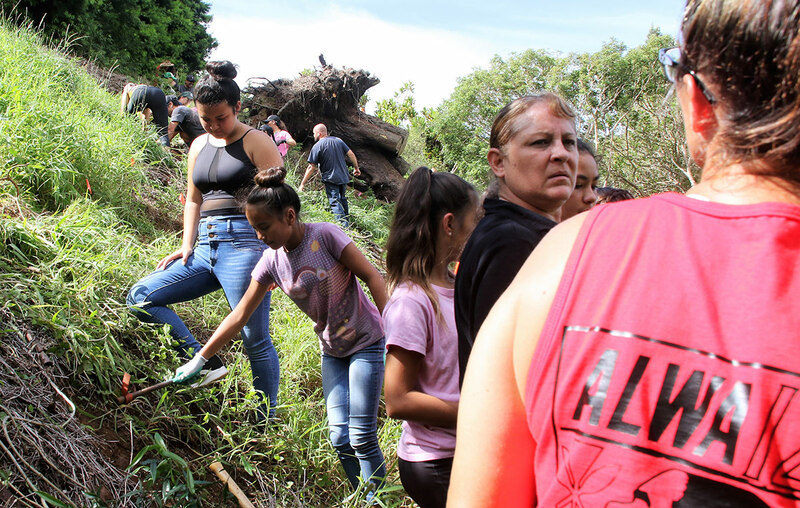 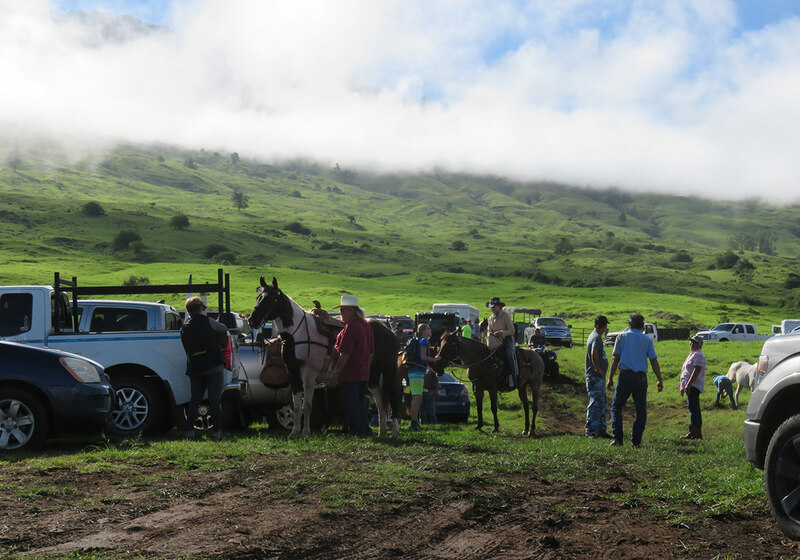 The 10 mile ride with 60 horses and riders began on Thompson Road through Ow Ranch and Ulupalakua Ranch to the Fleming Arboretum at Pu‘u Mahoe for a cowboy lunch by John Thompson, live auction including native trees and music by Randall Rospond of The Haiku Hillbillys. 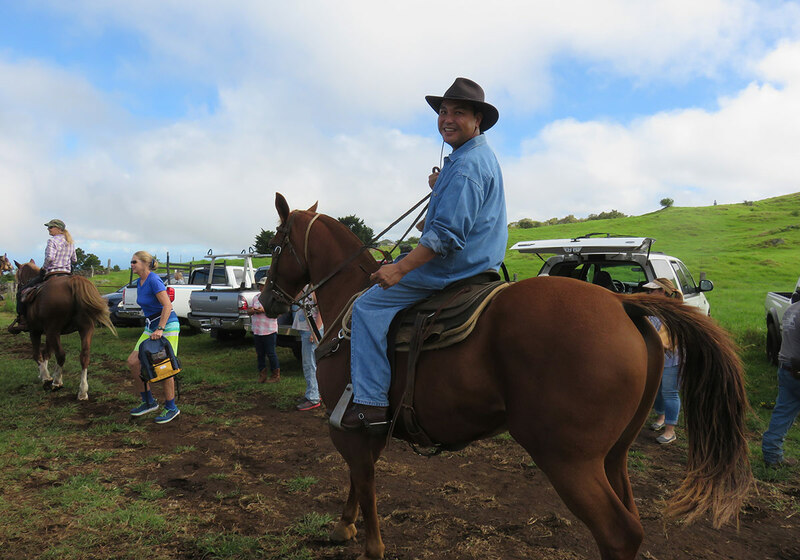 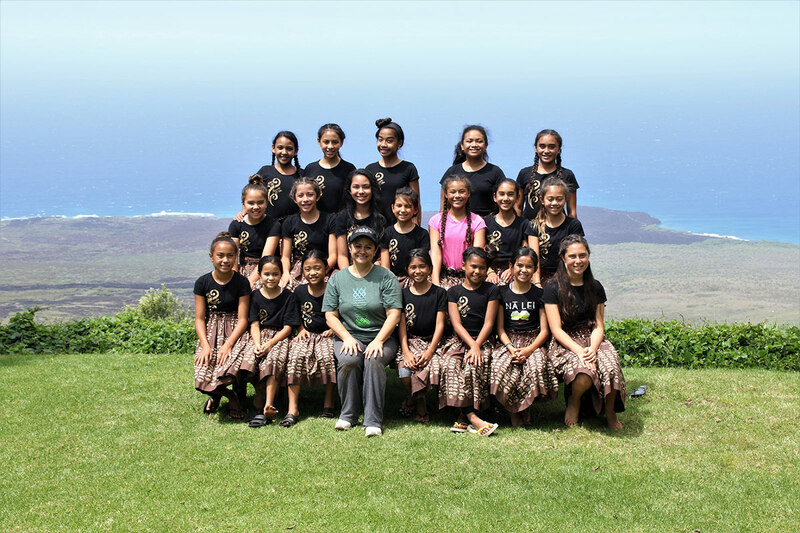 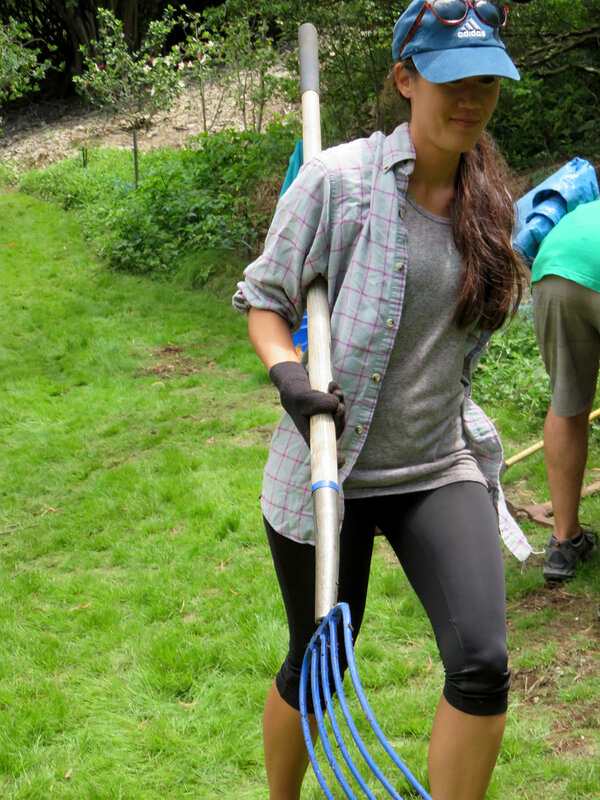 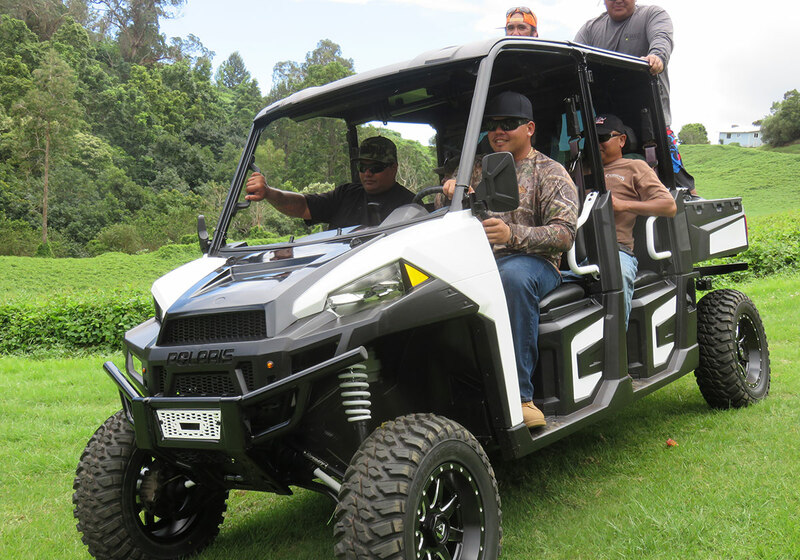 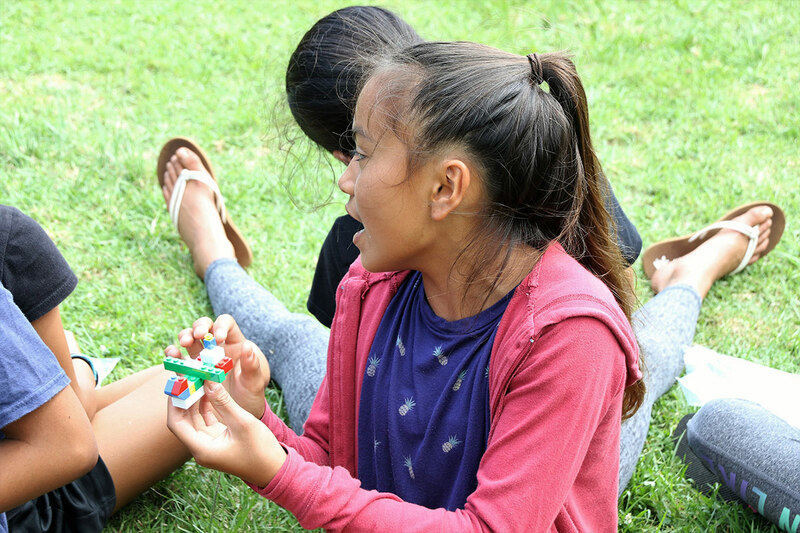 ”The event was made possible by generous donations from the Maui Cattle Company, Maui Soda, Mike Vida of Feed & Farm; Ulupalakua, Haleakala , and OW Ranch; all of our participants and those who generously donated for the kids at St. Jude,” stated Jerry Thompson of Thompson Ranch, Maui’s Saddle Up founder. 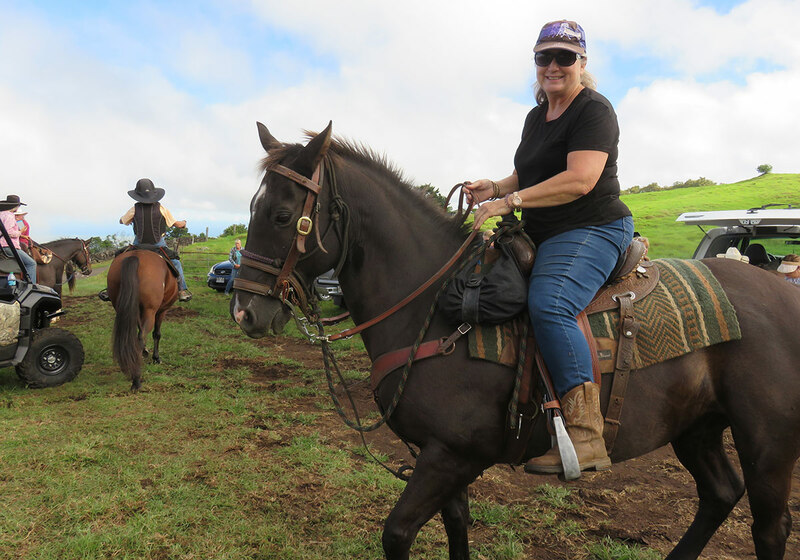 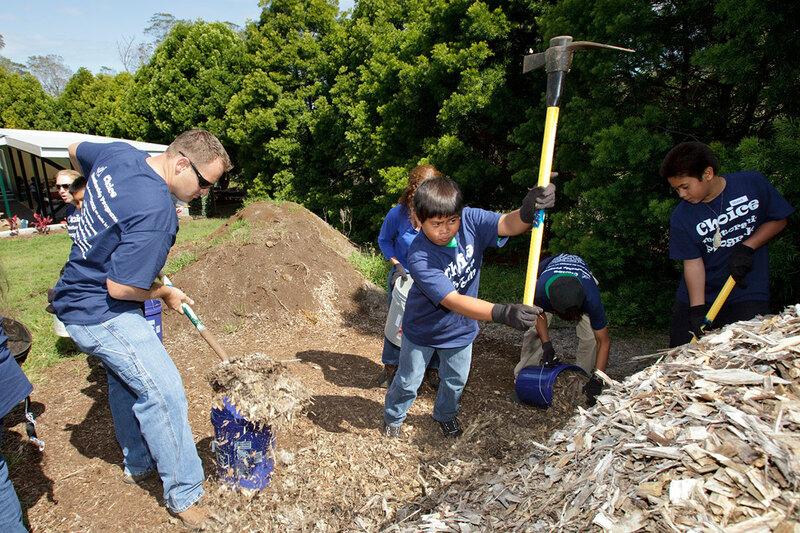 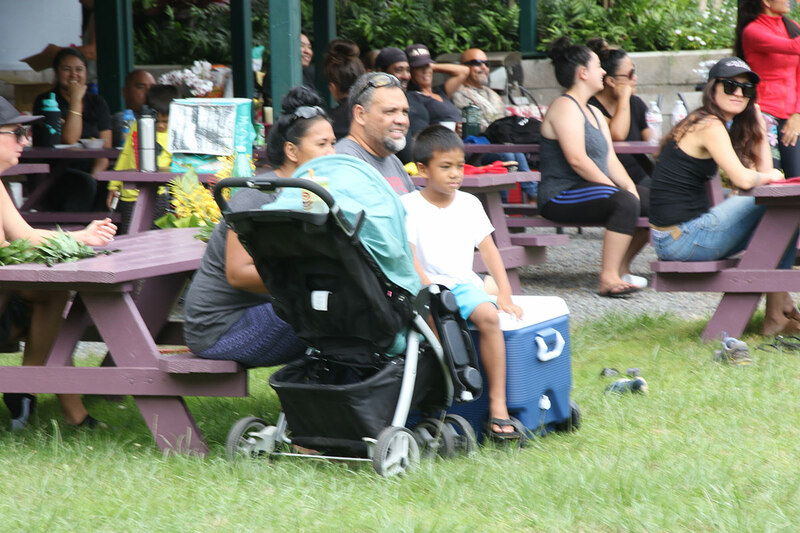 The Thompson family has organized Maui’s St Jude Trail ride since 1992, generating over $382,000 total in donations. 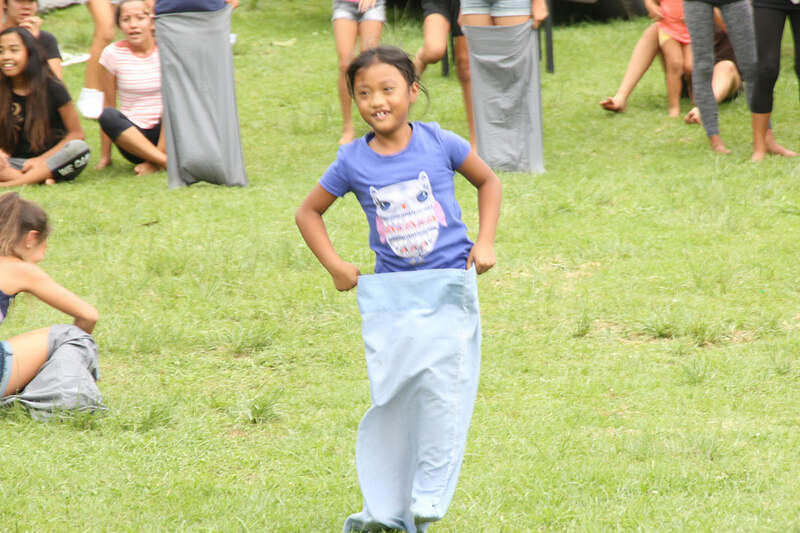 All funds donated go directly to helping these children who have cancer and other serious illnesses. 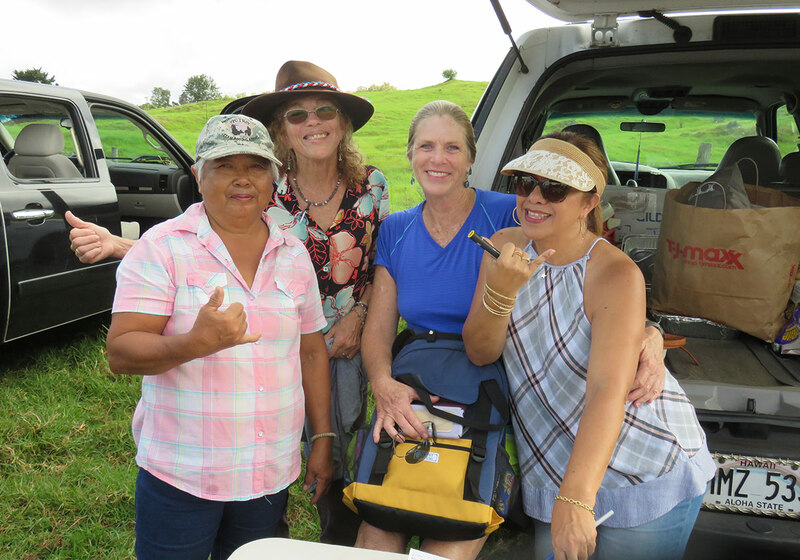 Monies raised go to cover such things as medical bills, airfare for the patient and family members, hotel rooms, food and more. 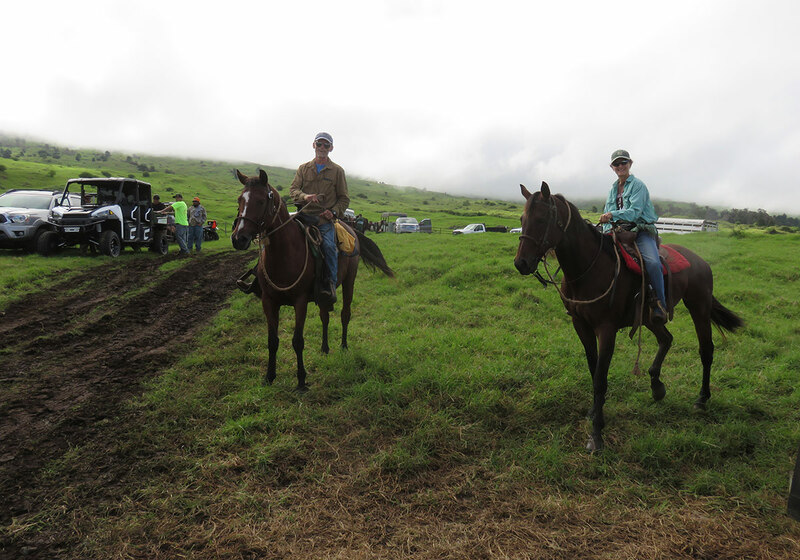 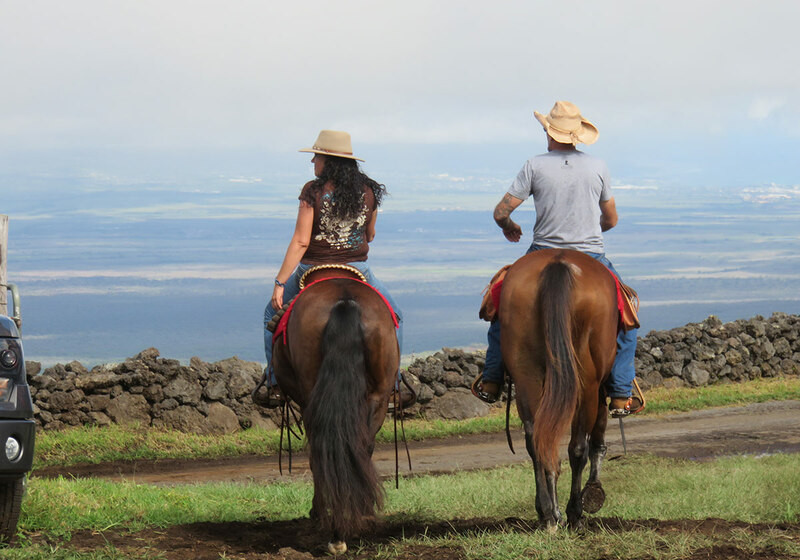 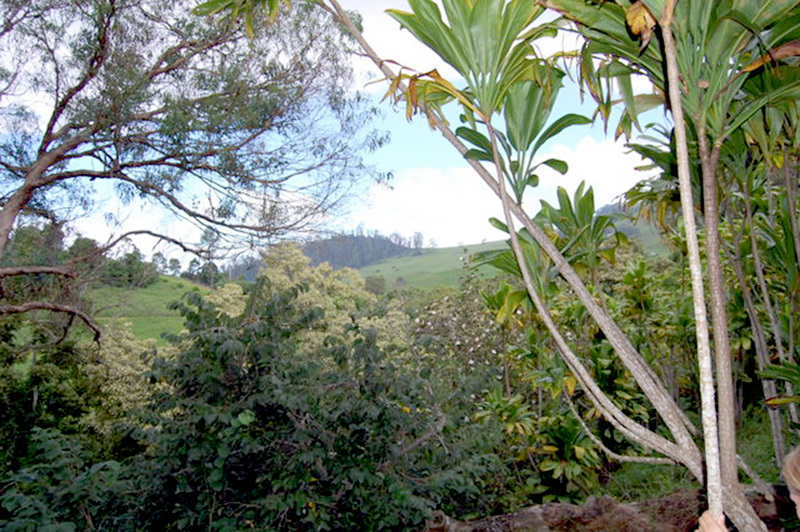 Fred and Lorraine Borsum, regular St Jude trail ride participants, arrive first to Pu‘u Mahoe. 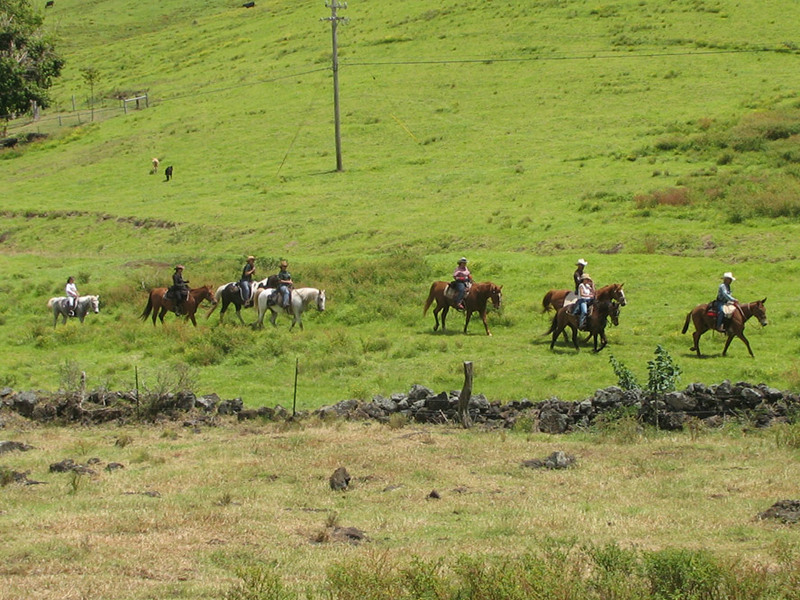 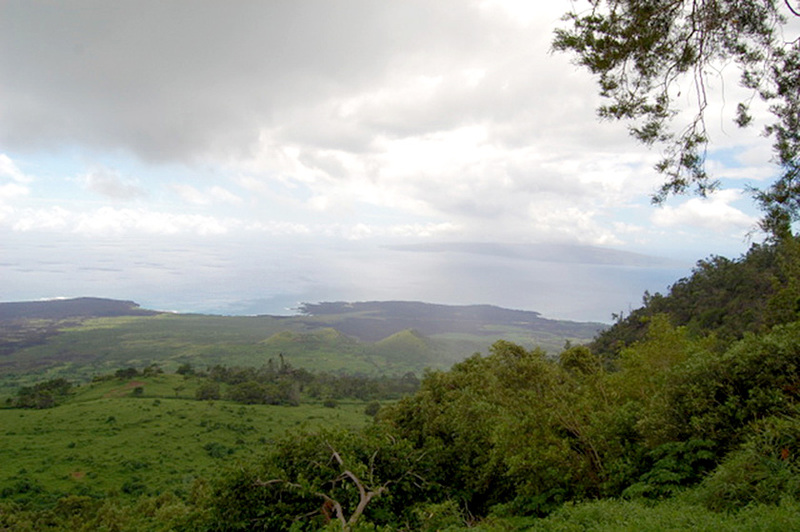 Sixty riders on some of Maui’s finest horses along with a crew on ATVs responsible for gates, and the lunch wagon caravan…a total of 85 participants made for a most successful St Jude Ride.